To make you more stylish and classic HITECH has come with it’s amazing handsets along with exciting features like attractive looks of the mobile and comprehensive body that fits easily in your pocket. It’s slim and sleek design attracts you towards. Available at a price tag of Rs. 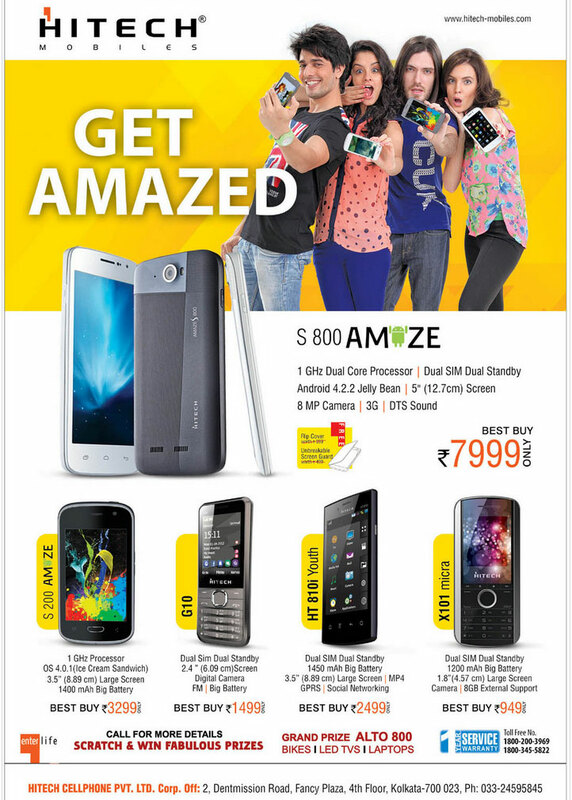 7999 only on best buy offers. Just like this S200 AMAZE, G10, HT810i Youth and X101 micra are waiting for you to lavish you a fruitful deal.